Ferrari will be making its appearance at the Paris motor show by unveiling the first car in its history to offer four seats and a turbo-charged V8 engine. Usually when a car has a prancing horse on the front grille and four seats behind the hood, the badge and the seats are separated by a hefty V12 engine. But although this is being trumpeted as a first — and technically speaking, it is — onlookers will be forgiven for thinking that the new car seems surprisingly familiar. And that’s because the Lusso T is based on the existing 6.3-litre V12-powered GTC4Lusso that made its debut at the 2016 Geneva motor show. But looks can be deceiving. While the V12 version was aimed at keen drivers and their families planning pan-European roadtrips, Ferrari says this new V8 version is a more practical all-rounder. A car you take on the school run as easily as into the mountains in order to ski a black run. As well as jettisoning four cylinders, this Lusso ditches the four-wheel drive system that kept its V12 sibling on the straight and narrow. Therefore power — all 602bhp of it — goes solely to the rear wheels via a seven-speed paddle-shift gearbox. 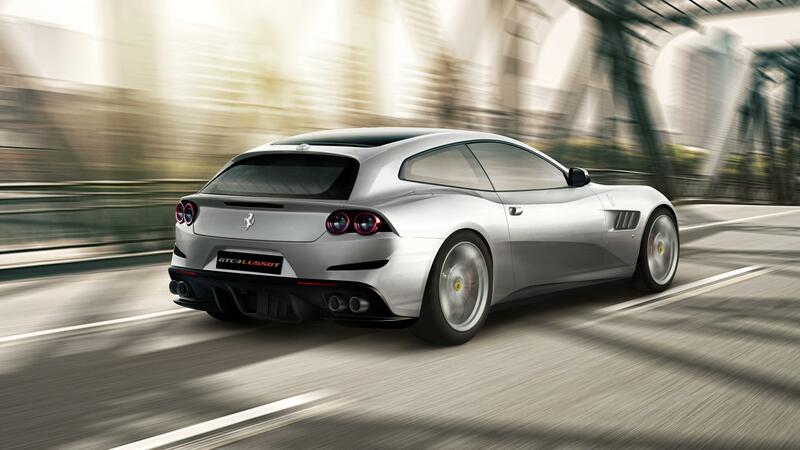 Thankfully one innovation that debuted on the original GTC4Lusso, namely four wheel steering, is being carried over to the new model to help high-speed stability and low speed maneuverability. And this will be key because Ferrari wants the GTC4Lusso T to appeal as a daily driver, albeit one with a 0-100km/h time of 3.5 seconds and a top speed in excess of 320km/h. Thanks to some clever engineering, the car should have no turbo lag, and so throttle response should be instantaneous. The four-wheel steering is set up to optimise cornering in an urban context with all four wheels turning in the same direction — many a wide-bodied V12 Ferrari driver has been caught out by the tightness of a bend at low speeds and has been forced to take two or three attempts to exit a junction or take a slip road. The company also says that the engine, although it sounds wonderful with the taps open should also be suitably subdued at lower speeds in order to help drivers stay alert. 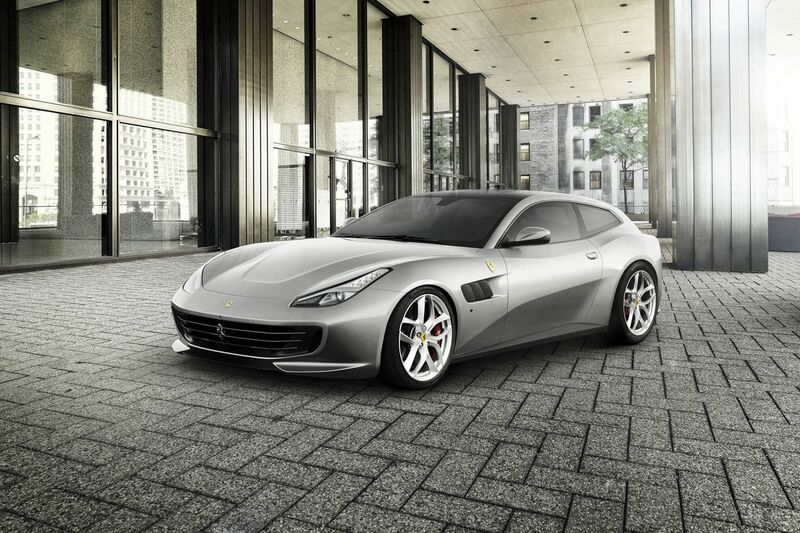 The Ferrari GTC4Lusso T will make its global debut at the 2016 Paris Motor Show which opens to the public on October 1.